The present week marked the opening of the voting process for the 2018 World Athletes of the Year ahead of the IAAF Athletics Awards 2018 about to take place in Monaco on Tuesday 4 December. On October 23rd, IAAF confirmed the list of 10 nominees for Female World Athlete of the Year (2018) “who were selected by an international panel of athletics experts, comprising representatives from all six continental areas of the IAAF”. Croatian discus thrower Sandra Perković is among them. 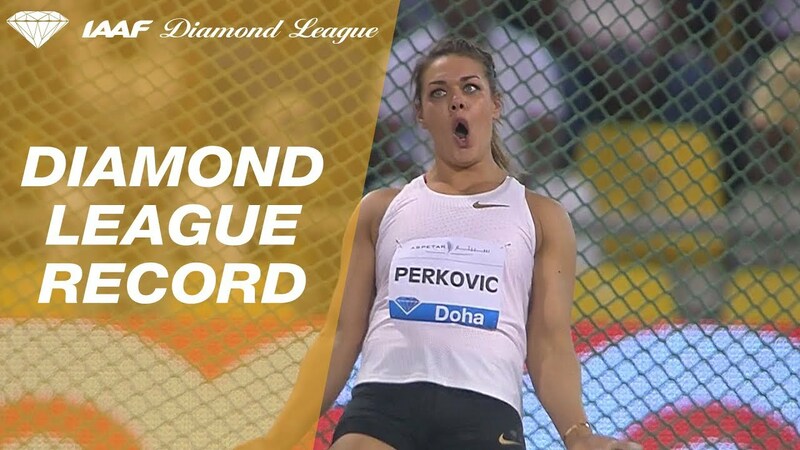 Nothing has changed ever since, as Perković keeps fighting with the same passion, the same eagerness and offers superb moments to sports fans like she did the summer of 2018 at the Berlin 2018 European Athletics Championships. The world and Olympic discus champion from the Adriatic state became the first athlete to win five European titles in the same discipline. According to the IAAF, a three-way voting process will determine the finalists. The IAAF Council and the IAAF Family will cast their votes by email, while fans can vote online via the IAAF’s social media platforms. Individual graphics for each nominee will be posted on Facebook, Twitter and Instagram this week; a ‘like’ on Facebook and Instagram or a retweet on Twitter will count as one vote. The IAAF Council’s vote will count for 50% of the result, while the IAAF Family’s votes and the public votes will each count for 25% of the final result. Voting for the Female World Athlete of the Year closes on 12 November. At the conclusion of the voting process, five men and five women finalists will be announced by the IAAF.